The pages are filled with amazing pop-ups and thrilling remembrances of the adventure. I smiled and said “wow” more than once. It begins with an introduction and images of the astronauts and the front page of a newspaper proclaiming that man is on the moon. Turn the page and astronaut Buzz Aldrin pops out attached to the Gemini capsule. He tells of the training he went through to prepare for the trip. The memories are fun to read, especially with the full color reminders of how amazing this event came to be. Next comes a Saturn Rocket stretching out 15 inches! Gifted Paper Engineer Bruce Foster must have had fun creating this one. You will also see Apollo 11 in all its glory come alive on the surface of the moon and the splashdown. But these beautiful pictures would be stagnant without the story. Astronaut Aldrin gives insights to what it was like being a part of what historians call humanity’s greatest adventure. In addition to the story told on the page, five pull-out panels cover The Space Race and Aldrin Family Reflections. All are insightful and full of fun facts. Finish up by building your own Apollo 11 Eagle Lunar Module. Perfect for the hands-on learner. 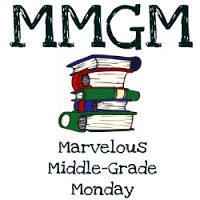 This entry was posted in Middle Grade Book Reviews, non fiction and tagged Bruce Foster, Buzz Aldrin, National Geographic Kids, TO THE MOON AND BACK. Bookmark the permalink. I would enjoy this. Is it MG or YA? I remember that day very clearly. I had just graduated from high school and started college that summer. It was an exciting time. Met Buzz Aldrin at a conference in maybe 20 years ago. Fascinating and personable. Targeted for MG but I think all ages would get something out of it. And how fun to have met the author many years ago! This sounds like a terrific book and, I think you’re right, a lot of ages will enjoy it. Thanks for the post.